How Does Political Party Affiliation Influence Charitably Giving? Midterm elections are over, and everyone has their political talking points for conversations best avoided during holiday dinners. 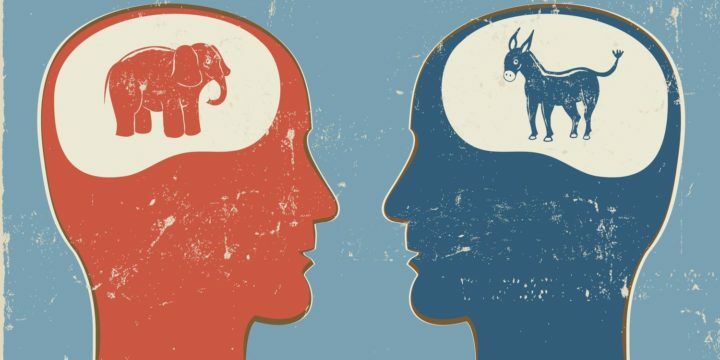 A recent New York Times article offers more debate fodder, looking at the question: How does party affiliation influence charitable giving? The article, How Political Ideology Influences Charitable Giving, cites results from a recent publication in the Nonprofit and Voluntary Sector Quarterly authored by researchers from Indiana University-Purdue University Indianapolis, the University of Georgia and North Carolina State University. For the publication, researchers analyzed more than 3,000 counties and controlled for variables such as education, income, race, region and religion. However, such giving does not match government aid, the story points out. “Those in favor of lower taxes have argued that individuals are more capable than the government of allocating money to important causes, including people in need of assistance,” Sullivan writes. But the study found that wasn’t the case. Beyond holiday conversations with your eager family pundit, political affiliation certainly could be an interesting data point for segmentation or assignments. For decades we have talked about declining government funding for higher education. Institutions send representatives to have a voice at the legislative level … and those representatives play an important role. However, advancement professionals are more focused in the philanthropic community. Credit should be given to the gift officers and donors who have tremendous impacts on campus needs across the country in ways politics — on either side — simply could not! For more findings including the impact of increasing political competition, the full report can be found at: How Political Ideology Influences Charitable Giving.